The Windows 10 Mail app is a great free choice if you prefer desktop mail The 5 Best Free Desktop Email Clients The 5 Best Free Desktop Email Clients You need a free desktop email client to handle your incoming mail? Here are the best desktop email clients you can use without cost. Read More to web-based email. It’s built-in to Windows, supports all kinds of email accounts, and doesn’t nag you to pay for an upgrade. One of the small annoyances, though, is that the Mail app automatically adds a signature to your messages. Those you contact probably don’t care that your email was Sent from Mail for Windows 10, so you should take a moment to remove this signature. Or, better yet, change it to something professional and useful 7 Tips for Creating the Perfect Professional Email Signature 7 Tips for Creating the Perfect Professional Email Signature We've written a lot about how to email like a pro, but one aspect that's regularly overlooked is the email signature. 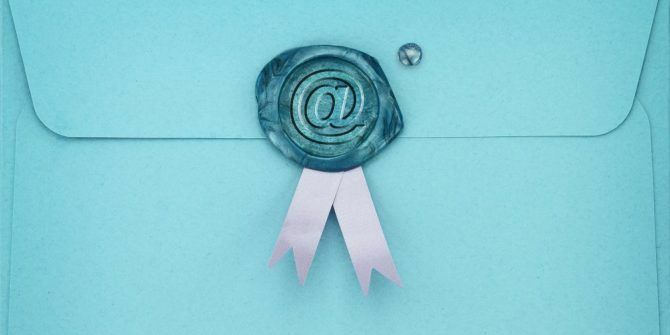 Here's how to set up the perfect professional email signature. Read More ! To do this, open the Mail app and select the Settings gear in the bottom-left corner. In the panel that slides out from the right, choose Signature. If you have more than one account, choose the one to change from the box at the top. You can also check Apply to all accounts if you want to set one signature for each of your email addresses. By default, Use an email signature is enabled and the text says Sent from Mail for Windows 10. If you want to remove this, just disable the slider and you won’t have any signature. If you want to change it, just replace the default text with your own. That’s it! Now your emails won’t include an annoying advertisement for the Mail app anymore. For more, check out our top tips for using Windows 10 Mail’s best features 7 Superior Windows 10 Mail Features You Probably Didn't Know About 7 Superior Windows 10 Mail Features You Probably Didn't Know About The Windows 10 Mail app has matured into a competitive desktop email client. We show you seven smart features you have to know if you want to be a power user. Read More . Did you know that Windows 10 Mail added this signature? Let us know your tips for crafting an effective signature down in the comments! Explore more about: Email Tips, Windows 10, Windows Mail. Thank you!! That was so annoying. Now if Microsoft Mail would only enable users to alphabetize their email accounts.